Did you know that BRIEF-2 is now available? You can find information, kit, and components here. Each BRIEF questionnaire contains 86 items in eight non-overlapping clinical scales and two validity scales. The validity scales measure Negativity and Inconsistency of responses. These theoretically and statistically derived scales form two broader Indexes: Behavioural Regulation (three scales) and Metacognition (five scales), as well as a Global Executive Composite score. 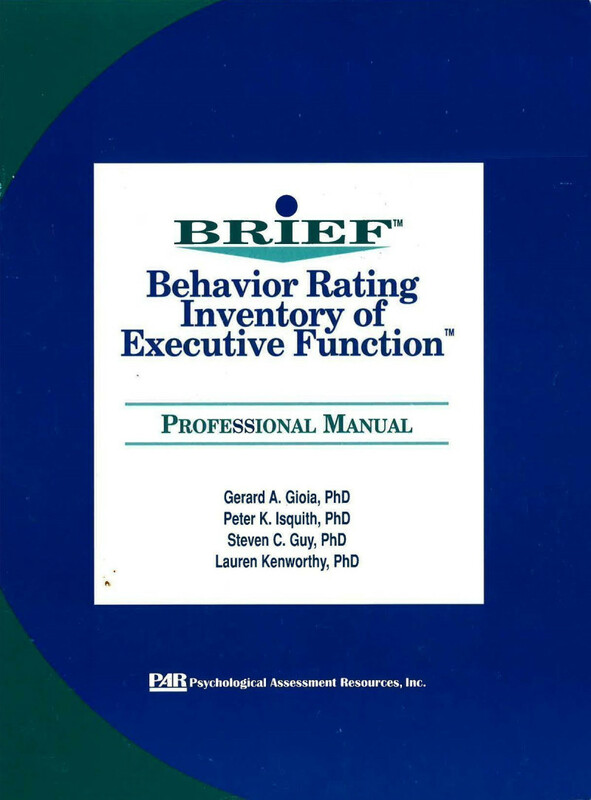 Factor analytic studies and structural equation modeling provide support for the two-factor model of executive functioning as encompassed by the two Indexes. Based on US child ratings from 1419 parents and 720 teachers from rural, urban and suburban areas.